You might think that key replacement is the right solution when the key is lost or stolen. But it’s not. If a strange is the key holder of your lock, your security is under threat. That’s what we come to battle with our services. At our company, we don’t have fixed solutions for any problem. We make suggestions based on your needs. In such cases, we simply rekey locks in Delta and thus keep strangers out. What’s involved in lock rekey services? The main idea of lock rekey is to enable the existing lock to work with a key different from the original one. This will keep unauthorized people from having access to your property. How do we do that? Each cylinder lock has several pins. And they are configured in a certain way. When our techs come to rekey your locks, what they do is remove the pins. We replace the pins with new ones an d also change their configuration. In the meantime, we cut a new key. With key change and the lock pins matching the grooves of the new key, you have nothing to worry about. The original key would be completely useless. It will simply not fit in the rekeyed lock. Why call us to rekey locks? 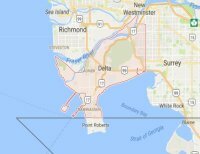 We rekey locks urgently in Delta, British Columbia. Knowledgeable and trained, our locksmith comes prepared to replace the pin configuration of your lock and change the key. We only use the right tools and have everything we need with us. And so if you request a master key system, this is possible too. With this type of locks, you operate multiple doors with one key. It’s the perfect solution for large properties, where key management becomes a necessity. All tenants still use their own keys. But you don’t have to carry a huge key chain anymore. Having the knowledge to install master locks and rekey locks in Delta comes handy. Our team can untie your hands in multiple situations and offer solutions that won’t break the bank but still increase dramatically your security. 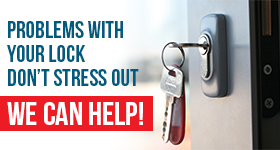 So if you need real pros that care for you, give us a call here at Locksmith Delta. 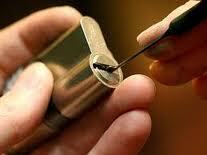 We are here to help and also offer 24/7 lock rekeying.